"We argued with him there for about a minute before he said 'OK go on', it was like he was convinced we weren't gipsy so we could go on. "I know this kind a camper van is slightly unusual, but it is not exclusively used by the travelling community." After parking the van, he went to remonstrate with the guard who said they were not the only people he had stopped and questioned. The guard, who was caught on tape, told him: "A lot of them are coming in similar cars. If you had said yes [to being a gipsy] I wouldn't have let you into the premises." In the recording of the conversation, the attendant can be heard to say: "We are stopping them because they are coming in and taking things off our loyal customers, that is why I'm here in the car park." Mr Massey added: "We were honestly gob smacked. Even if they have had problems with travellers using their electricity supply or parking there at night it doesn't justify the racial profiling of customers at the front door. "It is not acceptable, I'm disgusted." 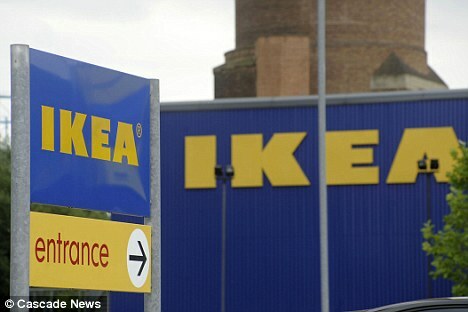 The Gypsy Council said Ikea "should be ashamed of itself". A spokesman added: "God help anyone who they think looks like a Gypsy – lots of Gypsies don't walk around with big earrings." But Garry Deakin, the Ikea store manager at Croydon, defended the practice. He said: "Over recent months the travelling community in the Croydon area have been attempting to access the customer car park to set up their mobile homes. "(It) not only has an impact on our customers' shopping experience, but also poses a health and safety risk due to the build up of human and animal waste. "After discussions with both the local traveller liaison officer and Croydon Council, Ikea Croydon implemented preventative procedures to secure the car park, including a security officer to patrol the entry to the car park to prevent the mobile homes entering the car park." 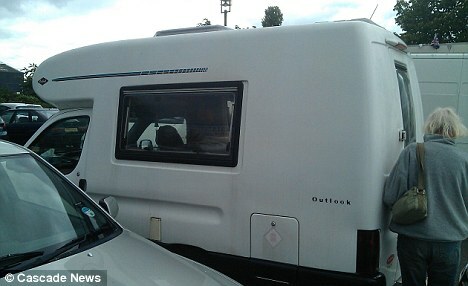 Swedish furniture giant Ikea has begun screening shoppers who arrive at stores in camper vans or mobile homes in a bid to prevent gypsies from setting up home in their car parks. Luke Massey, 27, was astonished when a security guard challenged him on a family outing to their Valley Park store, in Croydon, south London. Mr Massey visited the store with his girlfriend and her mother on Monday, June 4. On entry to the car park the group, who were travelling in a small camper van, were flagged down by an Ikea parking attendant who asked whether they were gypsies. 'We argued with him there for about a minute before he said ‘ok go on’, it was like he was convinced we weren’t gypsy so we could go on. After parking Mr Massey went to remonstrate with the attendant, who said they were not the only people he had stopped and questioned. In a recording of the conversation, the attendant can be heard to say: 'A lot of them are coming in similar cars. If you had said yes [to being a gypsy] I wouldn’t have let you into the premises. Mr Massey said: 'We were honestly gob smacked. Even if they have had problems with travellers using their electricity supply or parking there at night it doesn’t justify the racial profiling of customers at the front door. Garry Deakin, Ikea Croydon store manager said: 'Over recent months the travelling community in the Croydon area have been attempting to access the customer car park to set up their mobile homes, which not only has an impact on our customers’ shopping experience, but also poses a health and safety risk due to the build up of human and animal waste. Well done Ikea...................... Now perhaps the lily livered Local Authorities and Police Forces throughout the country will adopt the same attitude and move Travellers on immediately...............................Just treat so called travellers the same as the rest of us..................... If they do not move lock them up. (1) Well done Ikea....... (2) Being a gypsy is not a race, most are Irish or English....... (3) Why run to the papers Mr Massey? You were given a perfectly fine explanation by the attendant. Are you a lefty that supports the stealing and pooping everywhere by these people? 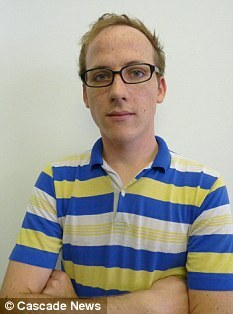 What a huge great whimpering wet lettuce of a man Mr Massey is. I accept most of these stores have private carparks, however , would it not be better to impose a time limit on all customers (many have 2 hours) after which a fixed fine applies, or car is clamped?towed, rather the alienate genuine customers, how can a store get to a situation where gypsies set up home on a car park, ? - toerag, cumbria, 13/6/2012 14:33 >>>>>>>>It can take 2 hours to get out of IKEA, with getting lost in the incomprehensible store layout, queuing at the tills, having a coffee and feeding meatballs to the children. then trekking half a mile across the car park and queuing to get out. On the other hand, I'm all in favour of these "travellers" being kept out of where they shouldn't be. What normal person goes shopping in a camper van? He'd be the first to complain if he turned up and so-called travellers - who don't - wee camped in the cr park, Is he going to mke some sot of claim fo hurt feelings? And rightly so.....They own the car parks, they are not free housing estates, and it is private property. So YES! i vote for everyone to be screened. Its quite easy really.... make the loading bays public property, and as part of the public high way, that way they can be forced to move on. And put bollards up to prevent anyone entering the car parks in very wide, large vehicles. Simple! Would Mr Massey let all and sundry into his house? IKEA is private property and they are entitled to vet their "visitors". They would be stupid to bar legitimate customers whether they are travelers or even aliens from Mars!